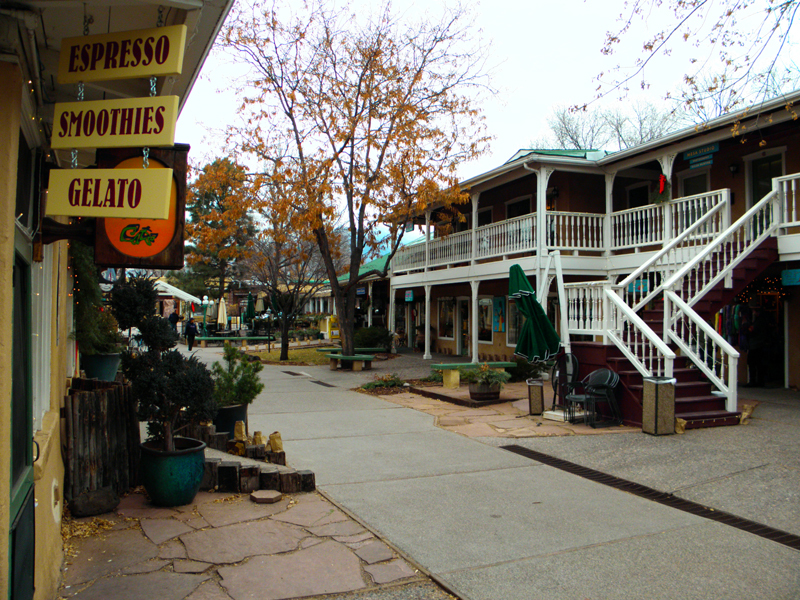 Shopping area with boutique stores just off the Plaza in Taos, NM. The shopping area appears unique. Looks historic. I"m sure some of the buildings are older and the shops unique. Taos is a major art colony and during the summer month, particularly, is one of the top 5 art markets in the United States.